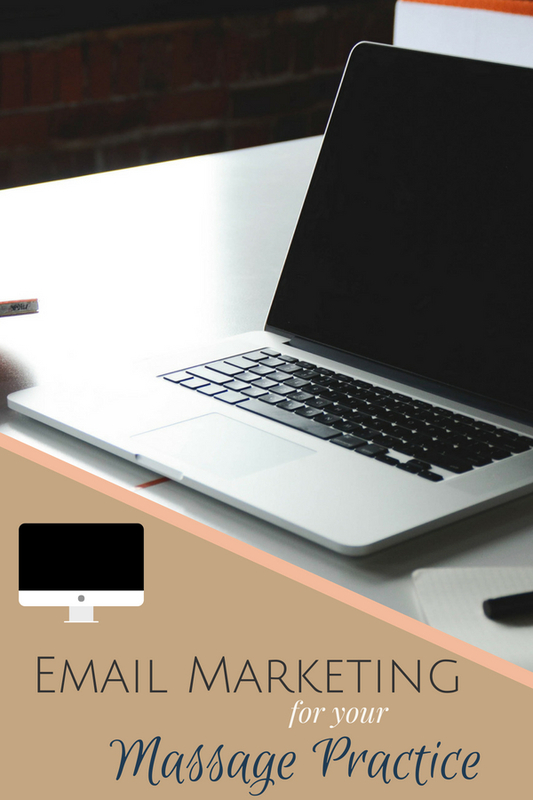 In this Post: Email marketing for massage practices can be one of the most effective marketing tools you can have in a massage business. Learn tips and tricks for implementing this tool in your practice. All of the experts agree, email marketing is the single one most effective way to reach your audience. 61% of consumers enjoy receiving emails from companies they frequent. As business owners, we cannot ignore these staggering statics and must harness the power of email! I first got the idea to send a weekly email with my massage availability from one of my favorite massage marketing books, “One Year to A Successful Massage Therapy Practice” by Laura Allen. Laura’s book is a fantastic resource for therapists just beginning their practice, as well as seasoned ones looking to freshen things up. While her book is a little dated as it was written in 2009, it still has some wonderful ideas! 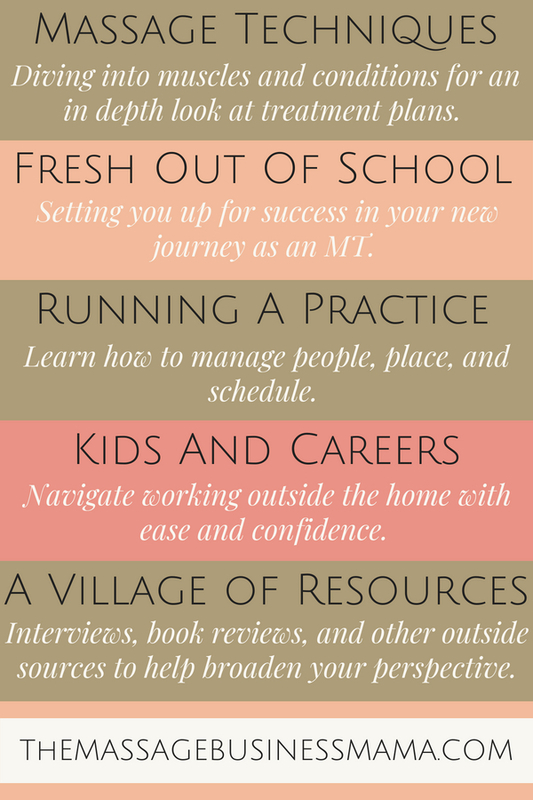 She breaks things up into actionable steps, encourages goal setting, and creates an amazing roadmap to achieve success. With Laura’s book as my guide on November 8th, 2010 I sent my first “Monday Morning Blitz.” This email went out to 43 people. It was incredible to see how quickly this method helped fill my schedule. Over the years my Blitz has gone through some evolutions, but the meat of the email has always stayed the same. That meat, available appointments for the upcoming week. This list has grown to just under 600 people. Living in a resort town, I only offer subscription to locals and second homeowners. Weekly we probably book between 5-12 appointments because of this gentle reminder. That may not seem like a lot, but let’s do the math. With an average ticket of $100, that comes out to $500-$1200 a week. Or $26000-$62400 a year, and it costs us nothing other than the man hours to put it out. Now compare that to the last ad you paid for. An opening paragraph or two of upcoming local events, health and wellness tips, interesting resources I have found, or big changes happening within my practice. A biography highlighting one of my massage therapists. Specials and promotions I am running. Links to purchase gift certificates online or schedule appointments online. And of course my therapists availability for the upcoming week. After years of sending directly from my Gmail account, this past year I finally felt it was time to up my game. It was becoming a huge undertaking to manage all of the bad addresses and people who wanted to unsubscribe! If it hadn’t been for these two elements, I could have kept going with my Gmail account for years to come. Can you call me a creature of habit or what? However, once I did make the switch, (I ended up going with MailChimp), my old Gmail format seems so unprofessional and archaic! The new email is sleek, beautiful, and so so much easier to manage! This is my biggest piece of advice! I always send one email a week, and it always goes out Monday morning. Since 2010 I have never once missed a week. One time I sent out the email Sunday night because I was traveling and wasn’t going to have internet access on Monday. Sometimes I have forgotten to mention things, but I always wait to send that information the following week. I don’t want my audience to feel overwhelmed with information from me. I truly believe this type of consistency fosters a relationship of trust, and is the reason so many of my clients continue to read the email week after week. Catch the attention of your audience with a subject that will make them want to read further. “Gift Certificates Make Excellent Mother’s Day Gifts,” “Enter to Win a Free Massage,” “Last Chance to Purchases Massages At Our Discounted Rate,” etc. Don’t go crazy with graphics. They can slow your load time, and in some cases even affect your deliverability rates. Ekk. One or two graphics are fine, but keeping it simple is the name of the game. Offer a deal, or useful resource right when your clients first sign up. Doing this will show them the benefits of joining your list right away, making them want to come back for more. Living in a small town I have been shocked by how many people come up to me in the grocery store, or at the bank and bring up something I have written in the Blitz. People do love to hear from us. It helps them feel connected. When they feel connected, they want to continue the relationship, which means more bookings! Building a deeper loyalty through email marketing nurtures our bond with our clients. And nurtured, bonded clients come back for more!